Is it Safe to Drive When You Have Alzheimer's Disease? 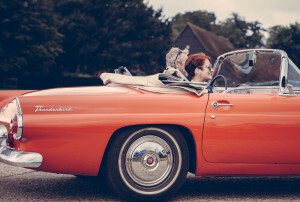 For most people, driving is a sign of independence they have enjoyed since their youth. It can be difficult for individuals diagnosed with Alzheimer’s disease to face the possibility that they might lose that sign of independence. With more than five million Americans diagnosed with Alzheimer’s, it’s worth asking the question: Is it safe to drive with Alzheimer’s? Recent studies published in the Journal of Alzheimer’s Disease and the Journal of Nursing point to interesting findings for those with even very mild Alzheimer’s. The latest data overwhelmingly indicates that it is in fact not safe for individuals with Alzheimer’s to drive. It was already widely known that those with advanced stages of Alzheimer’s could not drive, but recent studies on those with early stages have yielded new information about the safety of driving with early stages. Only about half of early-stage Alzheimer’s patients can pass a road test. Problems with visual and spatial skills, attention or planning prior to taking the test were strong predictors of who would fail it. But there was great variation in findings among the individual studies, and no one method or test to predict who should stop driving emerged from an analysis of the data. Studies indicate that it is possible for some people with the early stages of Alzheimer’s to drive, as long as they haven’t seen a significant drop in their memory or motor skills. Memory plays an important role in safe driving ability. Drivers need to remember how to safely operate a vehicle, such as knowing where the turn signals, brake and gas pedals are located. Even so, it is important to take safety precautions and limit driving to safe and familiar routes. Avoiding night driving can also decrease the risk associated with someone that has early stage Alzheimer’s who is continuing to drive. An assisted living facility can be an excellent way for those with Alzheimer’s to retain some of their independence. When driving is not a safe option for them, the nurses and staff at an assisted living facility can help with appointments, errands, and anything else that is needed. There are other options available to remain mobile and independent as well. These include hiring a private caregiver or arranging with family and friends to provide transportation. Paratransit, a reasonably priced alternative to public transit systems in Sonoma County, is another viable option as well. If you or a loved one has Alzheimer’s Disease, and the thought of losing the independence to drive is challenging, consider taking advantage of an assisted living facility, which can provide the support needed to live an engaged life.